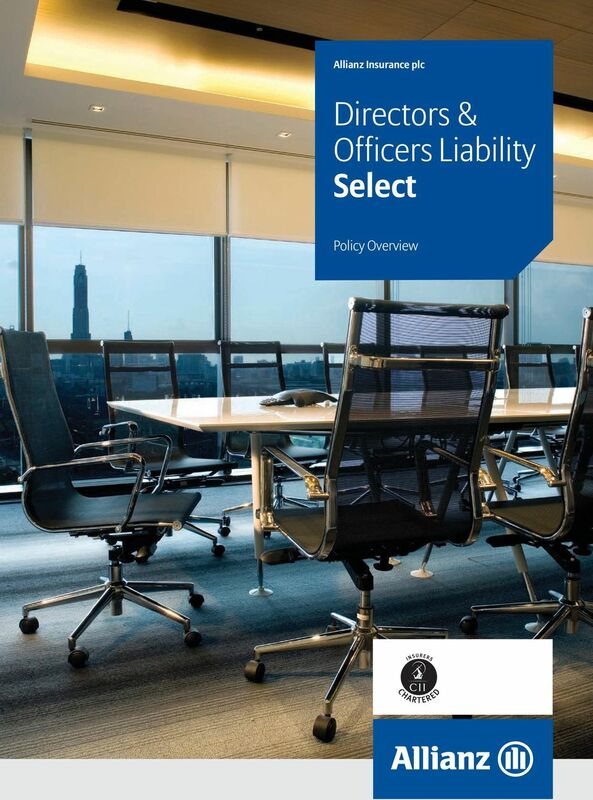 Download "Directors & Officers Liability Select"
2 Product Name/Subject Line Professional Indemnity Policy Overview Contents Introduction 1 Significant Features and Benefits 2 6 Thank you for choosing Allianz Insurance plc. 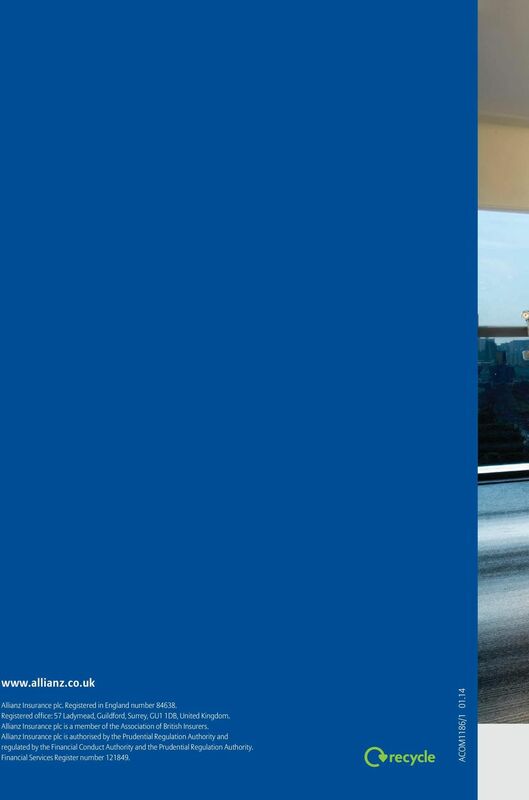 We are one of the largest general insurers in the UK and part of the Allianz Group, one of the world s foremost financial services providers. 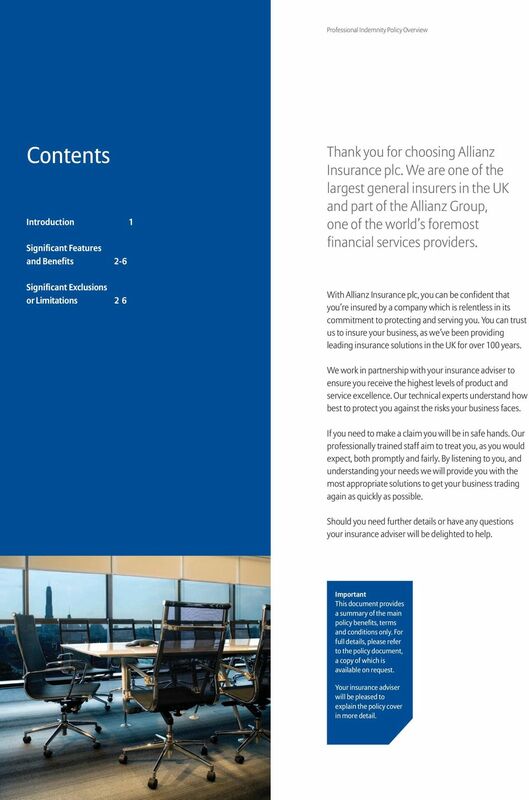 Significant Exclusions or Limitations 2 6 With Allianz Insurance plc, you can be confident that you re insured by a company which is relentless in its commitment to protecting and serving you. 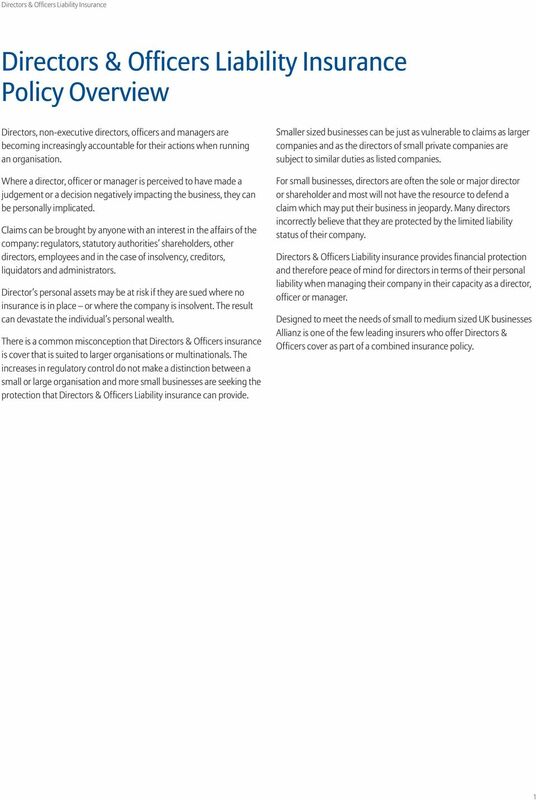 You can trust us to insure your business, as we ve been providing leading insurance solutions in the UK for over 100 years. We work in partnership with your insurance adviser to ensure you receive the highest levels of product and service excellence. 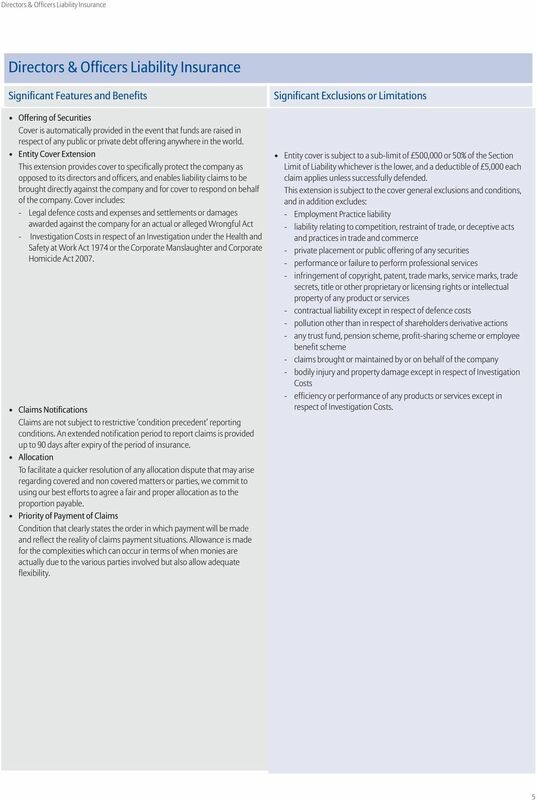 Our technical experts understand how best to protect you against the risks your business faces. 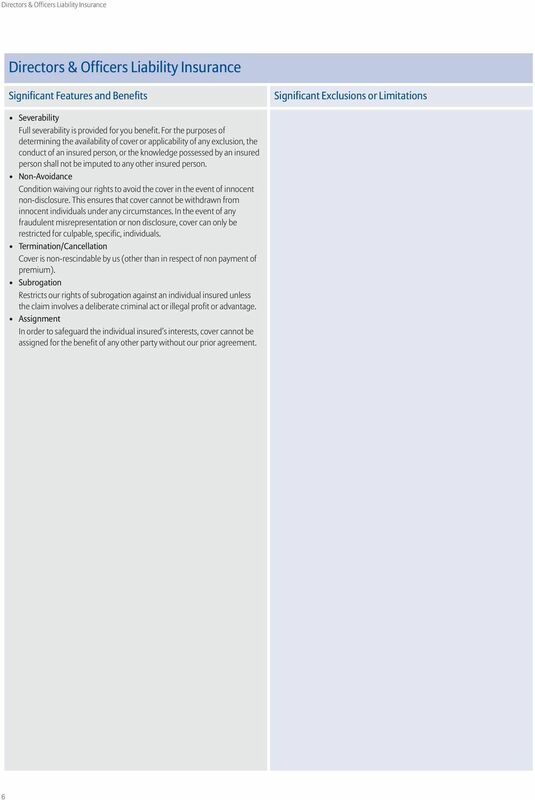 If you need to make a claim you will be in safe hands. Our professionally trained staff aim to treat you, as you would expect, both promptly and fairly. By listening to you, and understanding your needs we will provide you with the most appropriate solutions to get your business trading again as quickly as possible. 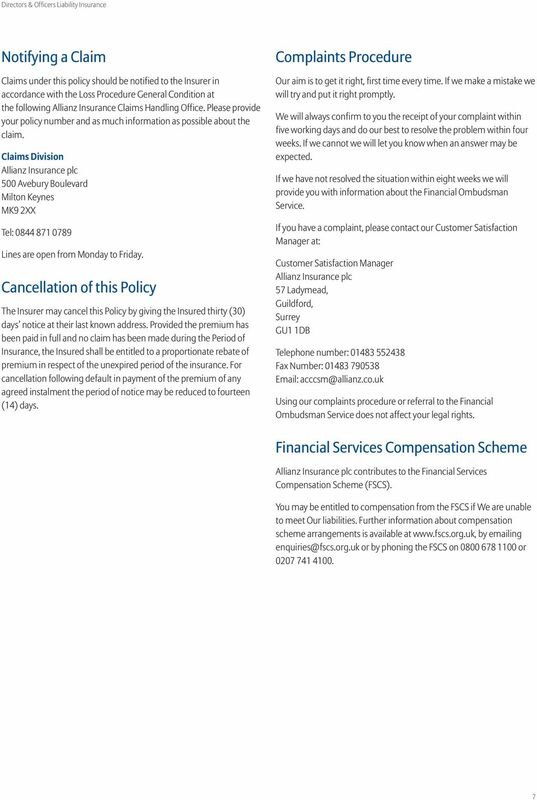 Should you need further details or have any questions your insurance adviser will be delighted to help. 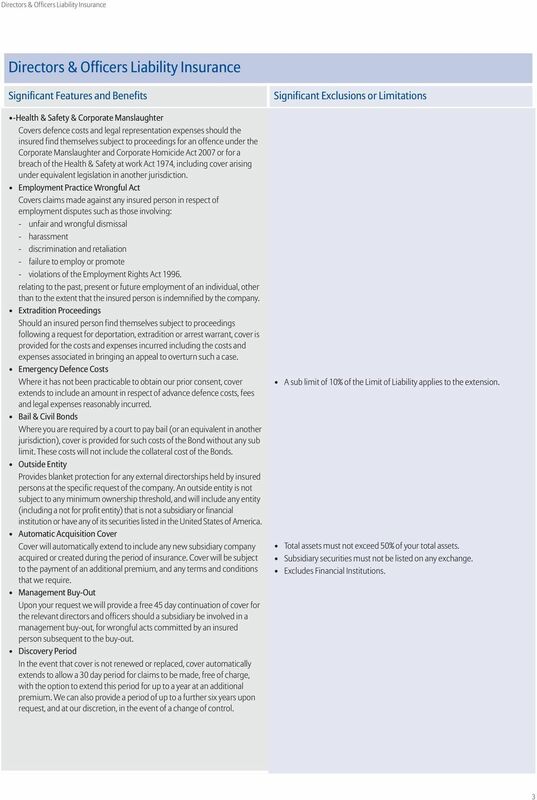 Important This document provides a summary of the main policy benefits, terms and conditions only. 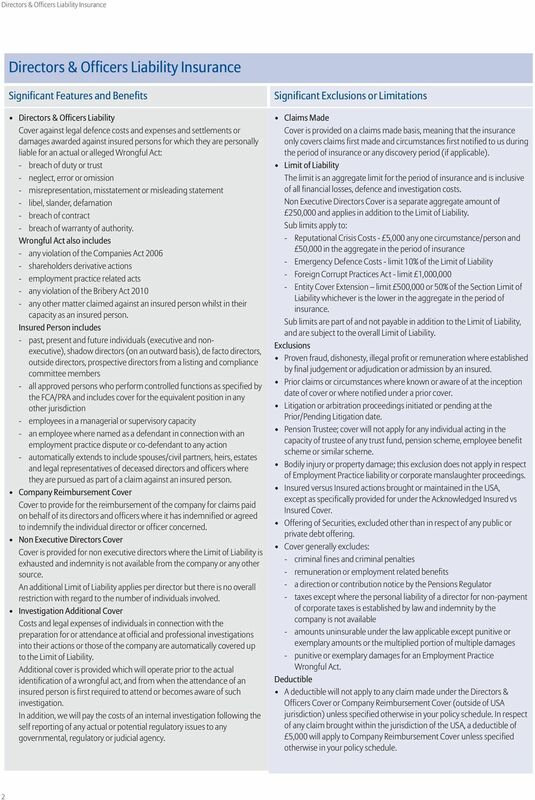 For full details, please refer to the policy document, a copy of which is available on request. 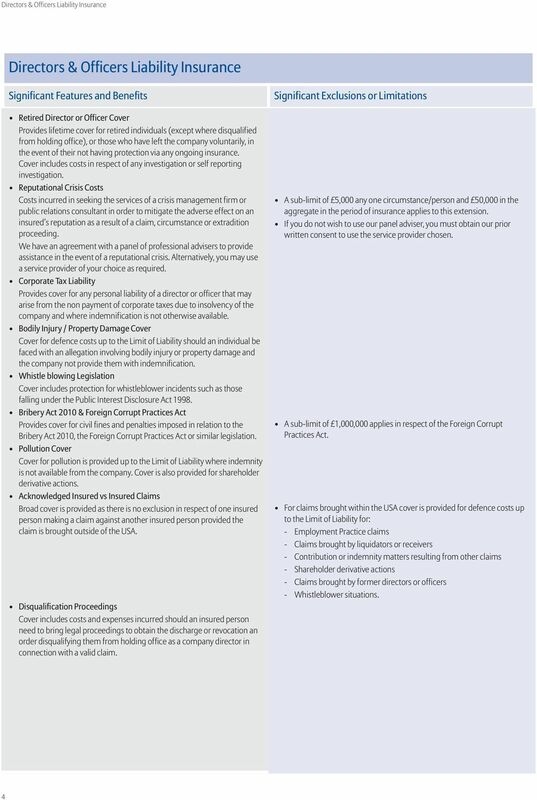 Your insurance adviser will be pleased to explain the policy cover in more detail.